di Bocconi Students Investment Club 7 Novembre 2016 6 min. Smart Beta is anything but new: strategies developed in the 70s with the aim of outperforming the market through relatively simple quantitative analysis. It is the middle ground between passive and active investment. Due to the fact that when it comes to stock picking the guidelines are quite simple, commission fees tend to be low. 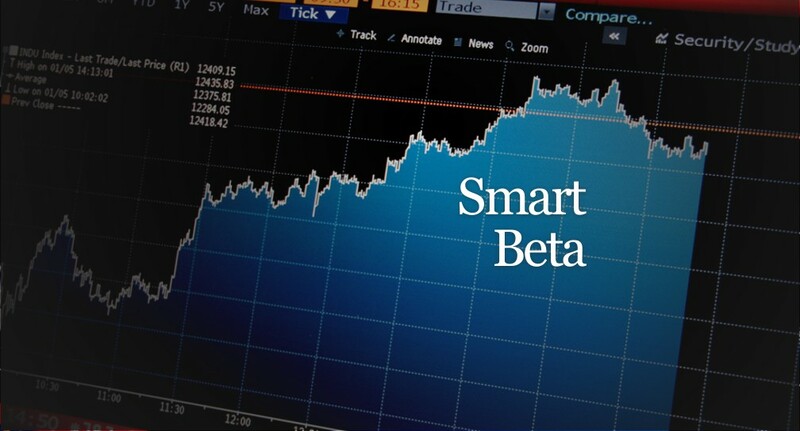 This is the reason for the growth in the popularity of Smart Beta as it now represents about 20% of the $2 trillion market for ETFs. If you have ever taken an economics course you start to realize that everything said until now contrasts with the basic fundamental assumptions of market efficiency. No such strategy should be capable of delivering superior returns, but then in reality it does. In this article, we will look at the strategy that works and try to analyze the drivers of its above-market returns. Among smart beta strategies, low volatility factor has been particularly popular this year. Around $44 billion of assets globally are allocated into low-vol ETFs, with over $10 billion being injected since the beginning of this year. Low-vol funds are particularly attractive for the investors as they are good hedge against market downturns. For instance, during the 2008 crisis S&P 500 fell by 37%, while MSCI minimum volatility index fell by 16.7%. There is also evidence that in the long-term minimum volatility stocks perform better than the market, which contradicts common belief that higher risk should be rewarded with higher return. The academic research suggests that this occurs due to high dividend yield – the only explanatory variable that turned out to be significant – as they are usually quality stocks as well. 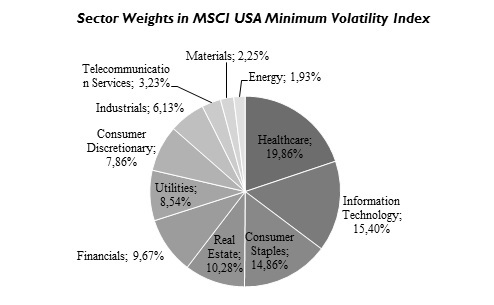 MSCI minimum volatility index USA, which is tracked by many min-vol ETFs, including Blackrock’s $14bn USMV, is primarily composed of healthcare, consumer staples, information technology and utilities stocks. Top-7 constituents are Procter & Gamble, AT&T, Johnson & Johnson, Paychex, PepsiCo, Verizon Communications and General Mills, which together account for more than 10% of the index. Why have these funds become so popular particularly this year? The possible explanation is that investors anticipate interest rate increase by Fed and consequent volatility spike, therefore, they want to protect themselves against market movements.